Are you involved in a legal dispute and cannot find a way to come to agreement? If so you may need to protect your rights in court. You need an experienced trial attorney to advocate for your rights, one who understand trial law and procedures such as gathering, preservation and presentation of evidence. You want a lawyer who has successfully protected the interests of others in civil litigation. At the law offices of Smith & Smith in Corbin, Kentucky, attorneys David O. Smith and Marcia A. Smith bring over 70 years of trial experience to individuals and businesses involved in civil litigation. We built our successful practice on a commitment to personal service and attention. We will work directly with you throughout the legal process, and will always keep you fully informed of any developments in your case, as well as your options. We take a straightforward approach, providing you with an honest assessment of the probable outcome of your case and your likelihood of success. Premises liability. We handle cases involving injuries due to poorly maintained property, including slips and falls. Defective construction. We have an extensive background in construction and can handle claims involving defects in residential or commercial construction. Consumer protection. We protect the rights of homeowners in cases involving fraud or intentional misrepresentation or non-disclosure of defects. Breach of Contract. 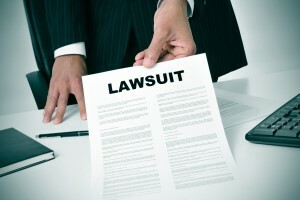 We handle cases involving all types of contract disputes, whether commerical or personal. Property disagreements. We assert the rights of individuals or business owners regarding property lines, timber cutting or coal/natural gas rights. Condemnation or eminent domain issues. We protect the rights of individuals or businesses against government entities that try to take property for public use, such as highway construction. Commercial litigation. We handle contract disputes involving goods or services, as well as partnership/ownership controversies and debt collection. Lender liability. We assert the rights of borrowers against banks or mortgage companies. We have never represented a bank or insurance company. Insurance bad faith claims. We will protect your interests if an insurer has failed to pay a legitimate claim. Probate matters. We handle all disputes arising out of efforts to settle an estate in probate court as well as circuit court actions to settle estates and to contest wills. Retaliatory discharge. We protect the rights of workers who have been terminated for filing a legitimate workers' compensation claim. When you hire us to protect your rights in civil litigation, we will take action immediately to move your case forward. We prepare every case as if it will go to trial so that we are always in the best position to negotiate a settlement, if it's in your best interests. We will also help you explore mediation as an alternative to litigation, if it will benefit you. We handle appeals as well as trial work. To schedule a meeting with an experienced Corbin civil litigation attorney, call us at 606.528.5001 to arrange an appointment.